Gallagher is out of a medically-induced coma, just days after he collapsed before a stand-up comedy show in Texas. “Smashing” comedian Gallagher is awake and telling jokes, just days after doctors put him into a coma, according to his manager, Christina Scherrer. The comedian, 65, suffered a heart attack last week before a performance at the Hat Tricks comedy club near Dallas. He was later admitted to the hospital, nearly one year after he went through a similar experience at a Minnesota comedy club. Gallagher — best known for smashing various objects on stage with a sledgehammer — still has several tour stops listed on his website for April. It’s not known whether or not he’ll continue with the shows. “Gallagher’s family and management would like to thank the fans and colleages [sic] for all the emails and phone calls of support and best wishes…..” reads a statement on his website. 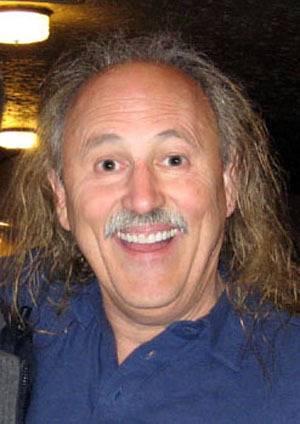 Gallagher’s popularity peaked in the late ’70s and early ’80s, earning him Comedy Central’s award for the 100th best stand-up comedian of all time. The outspoken Gallagher wasn’t exactly thrilled at the distinction. Well, at least he’s confident in himself. Hopefully that confidence can get his ticker back in shape and he’ll be back to smashing watermelon juice on his fans soon.